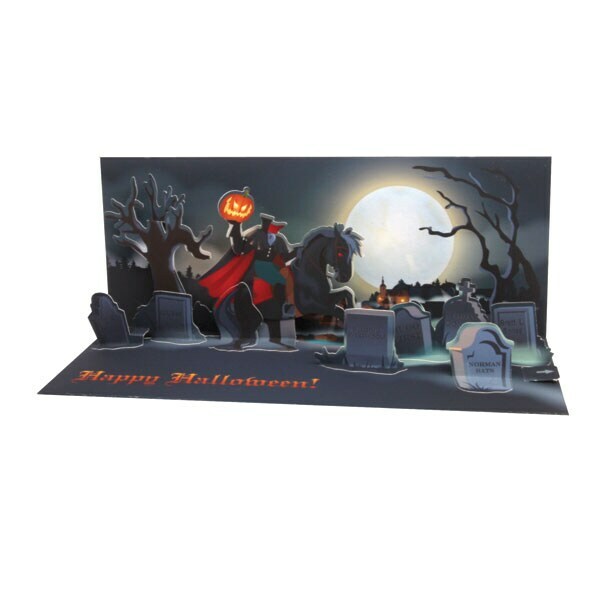 Fans of Washington Irving's classic tale "The Legend of Sleepy Hollow"—or anyone who loves the thrills and chills of All Hallows Eve!—will shiver with delight when they peer inside this atmospheric 9¼"x3¾" Halloween card. 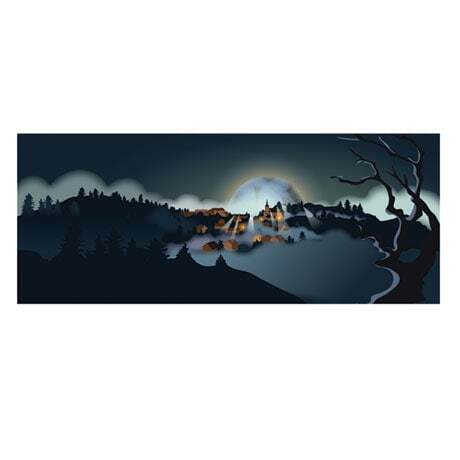 A glittering full moon rises over a mist-shrouded graveyard…and a headless horseman! Pull the tab and the horseman rears back to the eerie sounds of the horse's whinny. Add your own spooky greetings on the back of the card; the interior reads simply, "Happy Halloween!" Envelope included; extra postage required.